Whether used as religious symbols, as shelter from the rain, or as gentle weapons in the arsenal of a coquette, umbrellas and parasols have enjoyed lasting popularity throughout their 3000 year history. That they were equally as important as were gloves and hats is evident from the nineteenth century woman's memoirs that rue the fact that she must make do with only six umbrellas during her upcoming journey. 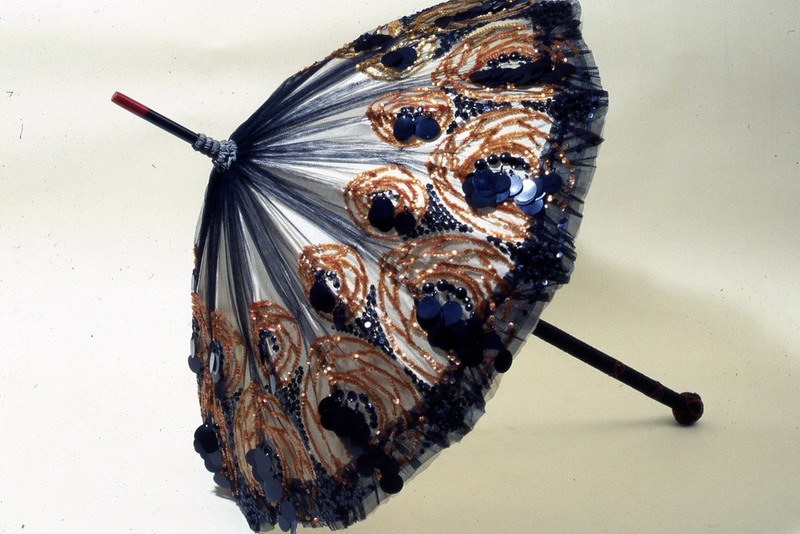 Featured are Edwardian and Victorian parasols. One specimen has a Chinese carved ivory handle with dragons, pheasants, butterflies, bats and flowers. 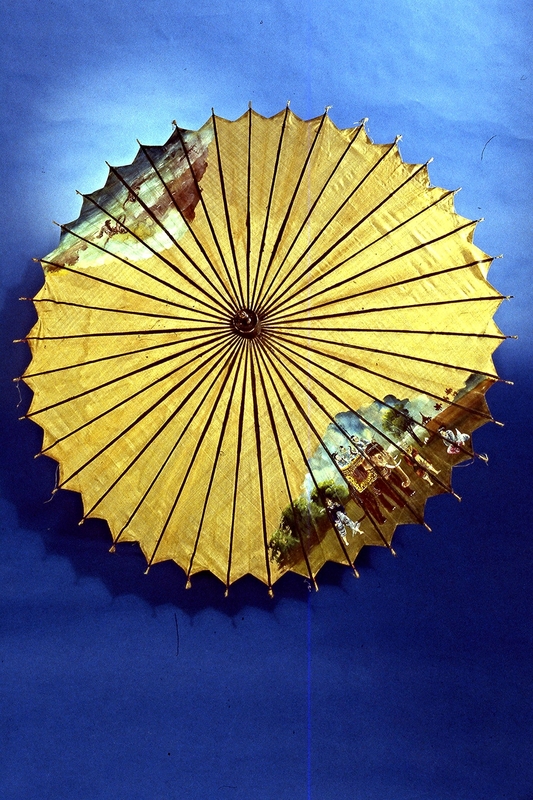 Another umbrella with a grey silk mount has a yellow handle carved with an elephant's head, with additional elephants displayed on the spokes. As with any accessory, variety in parasols and umbrellas is all but endless. Handles are long or short, simple or heavily carved; covers are light and dainty or lavishly decorated with beads and embroidery. All depends on the style of the times. Nevertheless, the ornate handles and lace and silk covers of the items in this collection testify to their value as an accessory for well dressed men and women in recent centuries.